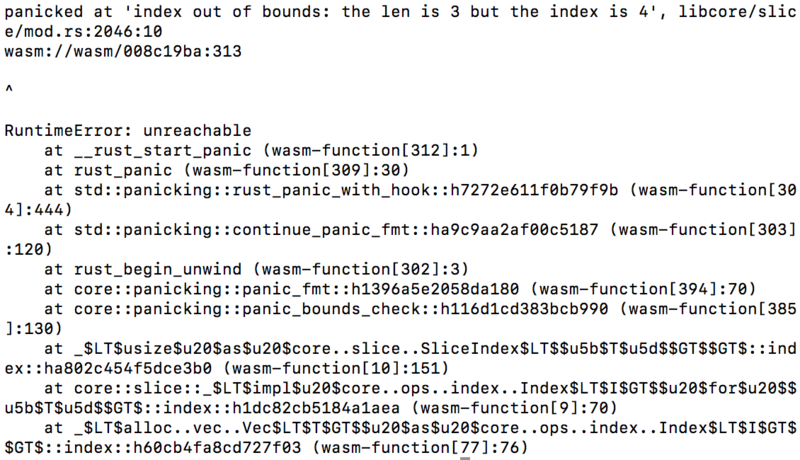 This crate lets you debug panics on wasm32-unknown-unknown by providing a panic hook that forwards panic messages to console.error. When an error is reported with console.error, browser devtools and node.js will typically capture a stack trace and display it with the logged error message. There are two ways to install this panic hook. Alternatively, use set_once on some common code path to ensure that set_hook is called, but only the one time. 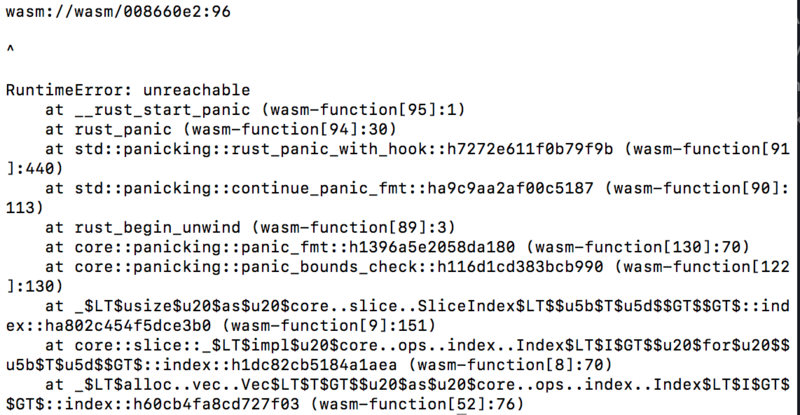 Under the hood, this uses std::sync::Once.